“Daaaank bro!” You may or may not have heard the term “dank” before, it probably depends on what kind of circles you run in. Personally, when I had first heard the term used it was in reference to marijuana, but the word now carries multiple meanings. In the way I’d heard it used, “dank” was a reference to how a strong marijuana smelled. If a sack full of sticky icky was particularly sticky and icky, and notably more pungent than others, it was “daaaank man”. If you walked into your friend’s apartment with goofy tapestries all over the walls and a layer of haze in the air, you might comment on how “dank” it smelled. The original meaning of “dank”, however, had nothing at all to do with marijuana. The original intended meaning was “damp; unpleasantly moist or humid.” A moist cave (what a gross combination of words, moist cave…ugh) would be described as “dank”. Smoking a potent marijuana inside of said cave would be “super-double-dank” (this is the technical term). Maybe marijuana enthusiasts adopted the term based on the moist, sticky feel of a truly “dank” bud, who knows. But the dankness doesn’t end here! In the 5 whole minutes of research I did, the earliest reference to a beer being dank that I was able to find was a thread on Ratebeer.com from 2009 where a user asked “What does the word ‘dank’ mean to you?” The answers ranged from comical to simply incorrect, but the general consensus was that it was related to smelling of strong marijuana. So a “dank” beer is one with a very pungent, marijuana-like aroma. So why am I writing this blog about caves and marijuana? Because it relates back to beer, of course! I recently brewed a new pilot recipe of a milkshake IPA made with an experimental hop variety that we called “creamsicle”. I remember going down to Moxee to tour hop fields last year and coming upon this new variety they were testing; it was one of the best smelling hops I’ve ever sniffed. The smell was overwhelmingly “creamsicle”, a very sweet blend of vanilla and candied orange. I wanted to brew with them immediately. Come nearly a year later, and we’ve had a single box of them sitting in our hop cooler waiting for the right time and opportunity, which we’ve finally found. I immediately wanted to go with a milkshake IPA because I thought it would best complement the sweet creamsicle aromas, and frankly I’ve wanted to brew a milkshake IPA for a while now. For the uninitiated, a milkshake IPA is a conventional IPA brewed with a decent percentage of wheat or flaked oats (or both, like ours). These grains help give the beer a fuller body, and promote a smooth, full mouthfeel. In addition to the unconventional wheat and oats, an unfermentable milk sugar called lactose is added (also in our Cozy Sweater!). Being unfermentable, lactose adds more sweetness to the beer in the form of a sugar that yeast won’t eat, and also adds a bit of a creamy texture to the mouthfeel. Now, a creamy, light, smooth, creamsicle-tasting IPA sounds pretty awesome, right? Right. Here’s the problem: that’s not at all what we ended up getting. Frankly, when you’re brewing with new hops, you can guess at what type of flavors and aromas you’ll be getting, but at the end of the day it’s still a guess. Something that smells like creamsicles before it’s introduced to beer might take on a completely different character afterwards, and that’s exactly what happened here. Here it is, I’m tying it all together people. This milkshake IPA didn’t end up smelling or tasting anything like creamsicles at all, but instead it smelled strongly of your college friend’s van that he never really cleaned. It smelled like weed, folks. Plain and simple. And not just a little either, it truly earns the term “dank”. Frankly, this is something I enjoy in a west-coast style IPA; moderately heavy yet not face-punchingly bitter (About 70 IBUs), a good resinous, almost piney flavor backbone, and a huge hit of “dankness” right in your face on the aroma and initial taste. Because I’m still 14 at heart, and my initial name for the beer was Creamsicle Milkshake, we’re calling this bad boy the Danksicle Milkshake. No, it doesn’t have any marijuana in it. Yes, it certainly smells like it does. No, it won’t get you high. Yes, it will get you intoxicated (6.15% ABV, drink responsibly!) So call up your college buddies for one last go around the circle, and find some Danksicle Milkshake! This is a limited edition release. 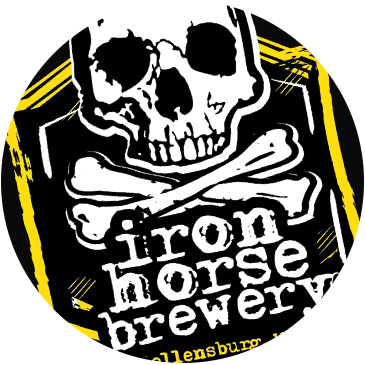 DISCLAIMER: Iron Horse Brewery does not advocate for or against the use of a completely legal (in WA state baby!) substance. By the way, can we get the kids to stop calling everything “dank” nowadays? Your cheeseburger isn’t dank kid, it’s tasty or delicious or just “good”. Damn millennials. What the Hell is PCR and why should I care?